In this practical and witty book, you’ll learn to front-load your writing with pithy titles, subject lines, and opening sentences. You’ll acquire the courage and skill to purge weak and meaningless jargon, wimpy passive voice, and cowardly weasel words. And you’ll get used to writing directly to the reader to make every word count. At the center of it all is the Iron Imperative: treat the reader’s time as more valuable than your own. Embrace that, and your customers, your boss, and your colleagues will recognize the power and boldness of your thinking. Transcend the fear that makes your writing weak. Plan and execute writing projects with confidence. Manage edits and reviews flawlessly. And master every modern format from emails and social media to reports and press releases. 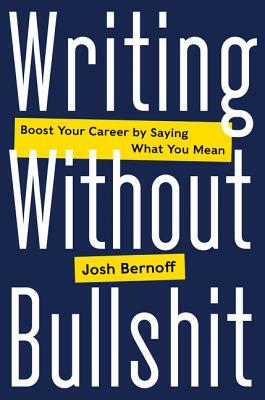 Josh Bernoff has been a professional business writer for more than 30 years, including two decades as a renowned technology analyst. He is the coauthor of three books on business strategy, including the bestseller Groundswell.